RV Budget Tool – Use this so you don’t overspend while shopping for an RV. 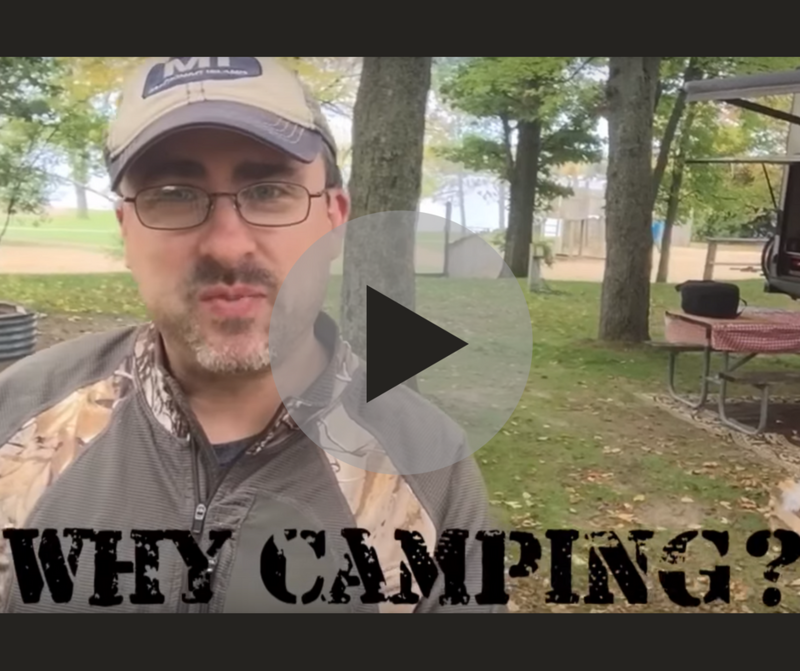 You need as much money as possible for creating awesome camping memories. Dealership Arrival Checklist – Easy work that will save you lots of headaches and have you feeling great about shopping for an RV. Don’t show up to the dealership without this. “Real quick as we’re packing up here, our last day in our fall camping trip. You can see a camper over here, you can see that nice lake in the background. We just had a wonderful time here in the mid part of Michigan, just an hour from our house. Just absolutely beautiful. We’ve had a great time. 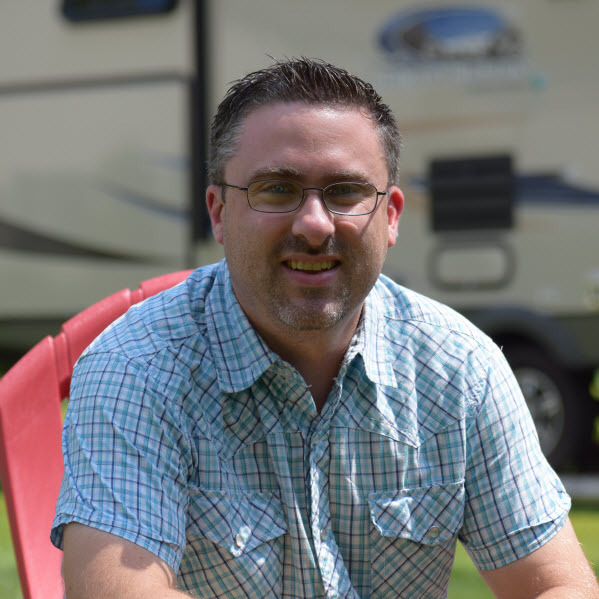 I wanted to encourage you if you’re thinking about camping, thinking about buying an RV. Why would you want to go RV? Why would you want to go camping? For myself, a couple of reasons why this is super important to me and my family and why we’ve enjoyed it for such a long time. Number one, it gets you away. Yes, there’s vacations where you fly and you drive and you get away, those are nice too. Getting away and having all amenities of home pretty much, but being able to relax and be in one place, is fantastic. It drives you closer together or for crazy, camping stories, it can pull you apart. That’s right. There’s two people, there’s two types of groups of people. They either love camping and they keep doing it, or they hate camping and they tell those stories for generations to come. Either way, you have stories to tell around Thanksgiving and Christmas dinner. The second reason that I really like camping is the time you get to spend together. At home there’s people going everywhere and we have older, teenage daughters. When they were little we went camping, they’re so busy with things. Being able to get away and just to be together as a family in the same space, a close space, play some games together, sit around the camp fire. Man, there’s nothing like that, it’s a wonderful experience. Then the third thing I would say if you’re thinking about going RV, is buy it right. What I mean by that is the 1st RV that we bought, we bought it wrong. We didn’t know what we were doing, we did research but we didn’t know what to trust. I wish I had a site like rvingplanet.com, then. Frankly, it’s the reason that I started it. I got so frustrated with that very first shopping experience. Going into the second one, which is this RV we have here, I wanted to make sure that we bought the right one, at the right price. Had the right amenities, the whole really figuring out the towing, wanting to know my budget, what it really was going to cost. That was really important to me, to go through that process and figure that all out. Having a site now like RVing Planet with all those resources on it, is just fantastic.